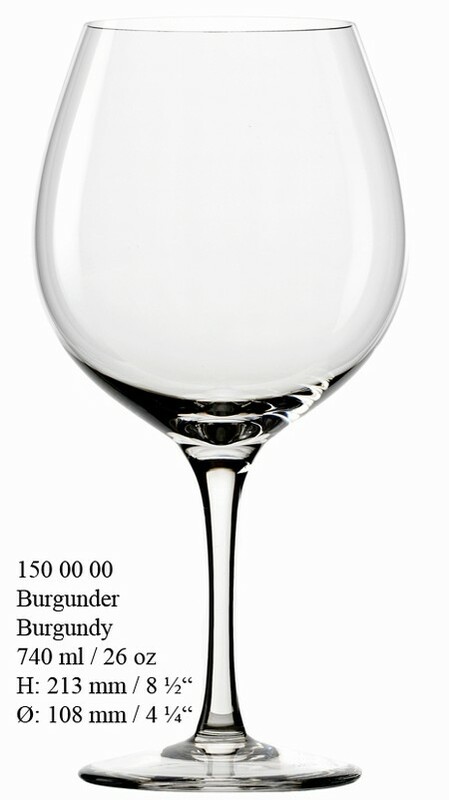 STÖLZLE ENCORE BURGUNDY GLASS, 23-1/2 OZ. glassware manufacturing company. For over 200 years, Stölzle has been recognized as a leading European designer, manufacturer, and marketer of high-quality, 100% lead free crystal glassware for the foodservice and retail markets. Their professional design and hi-tech production process guarantees optimum durability, performance, and elegance.